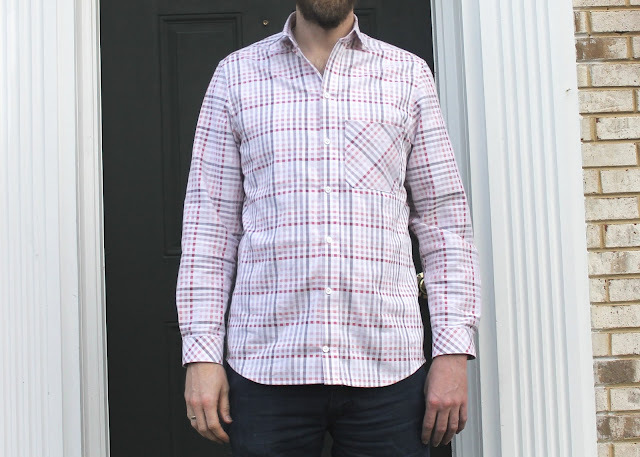 When my husband and I visited Mood Fabrics during our 10th anniversary trip to New York City last fall, I encouraged him to pick out some shirting so that I could make him another Fairfield Button-Up Shirt. He chose two cuts. I put them in my stash closet and promptly began procrastinating actually making the shirts. Finally, just before his birthday, I forced myself to pull this one out and revisit the Fairfield pattern. Having sewn this shirt a few times before, I knew that it runs small. My husband is 6'1" and a solid M according to the size chart, but based on previous experience, I cut an M shoulder and then graded to an L at the bottom of the armscye. As you can see, he definitely needed the L width all the way down. I also cut the L length. Because I wanted to keep the sleeve cap height at the medium size, I cut the entire yoke in size medium. This meant that I needed to lengthen the back shirt about 3/8" to compensate for the loss of length in the yoke. I mention this because I nearly forgot to do it and that would have been super-annoying. 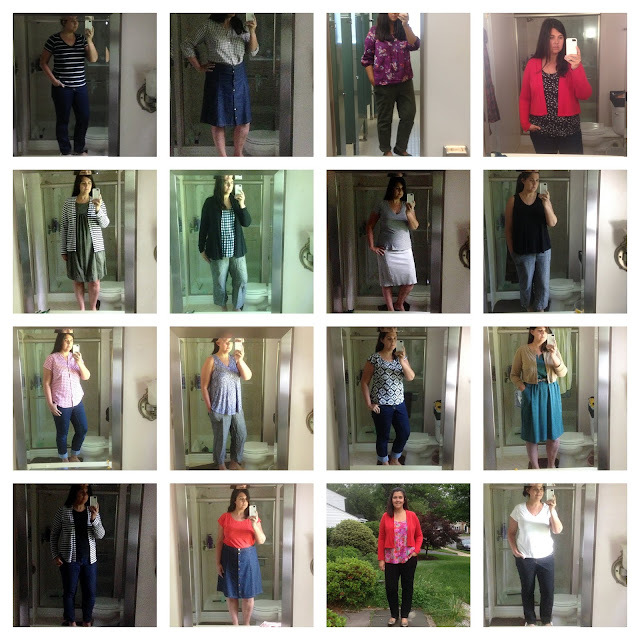 Me Made May is halfway over, and I'm rounding up my outfits the last fifteen days. My goal this year, like last year, was to wear handmade every day and to avoid repeating full outfits. Wearing handmade every day isn't a challenge for me anymore, as most of my clothes are made by me. But I do tend to wear the same dozen pieces over and over again, so forcing myself to come up with new combinations is definitely an exercise. 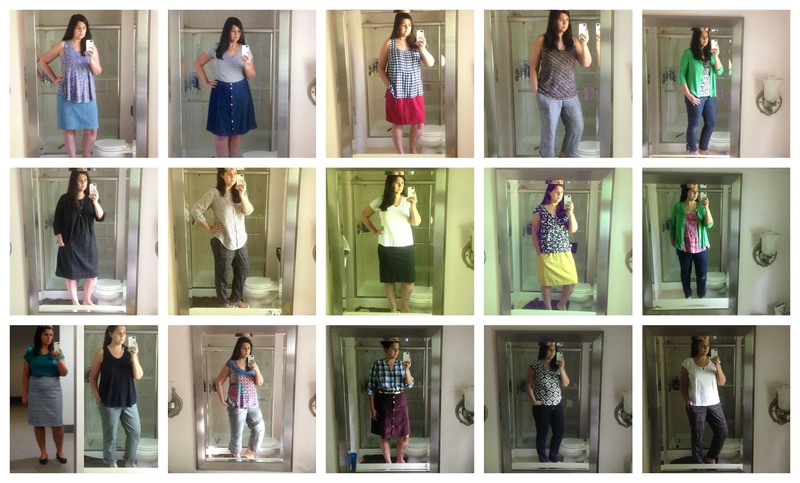 I decided to just take crummy bathroom mirror selfies this year. That way I'd be sure to get a photo in. While not necessary for the challenge, having all of these photos is helpful to me to see what I like, what works, and what doesn't. I also just enjoy the fun collage. 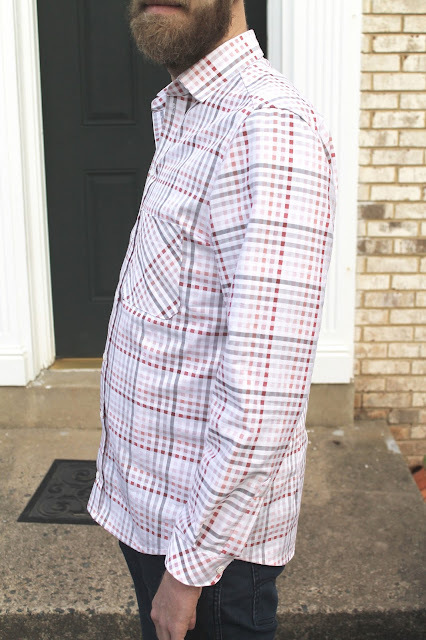 While the picture quality is abysmal, I've linked all the blogged items below so you can click over if you want to see more. I know I said that my first Portfolio dress would be my most loved make of 2018, but it's already been replaced. By my second Portfolio dress.